In this new 9-CD Instructional Audio Set, Anna introduces the listener to the amazing and seemingly magical world of Interspecies Communication. Anna has helped thousands of people and animals solve behavioral issues, support health challenges, guide animals in transition and more. Now she reveals the same powerful, life-changing tools and techniques she uses in her highly successful and effective private sessions with clients and in classes all over the world. Animal Communication, also known as inter-species communication, is the ability to telepathically connect with a being of another species and communicate with them through images, feelings, thoughts, emotions and even words. 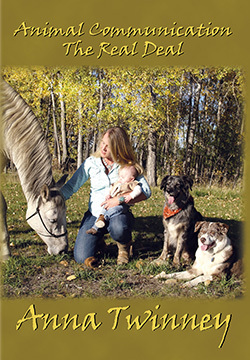 This is a perfect tool for anyone who has ever wanted to understand and connect with their animals and a chance to experience a heart-to-heart connection with all species on a level only imagined possible… until now. For more information visit the ROTH Website! Next post2 SPOTS HAVE OPENED UP JUST FOR YOU.